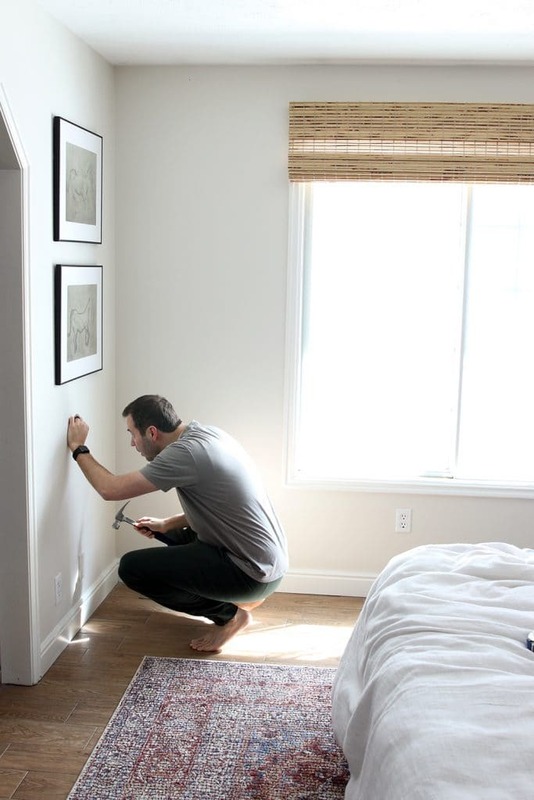 This post is sponsored by Artfully Walls. 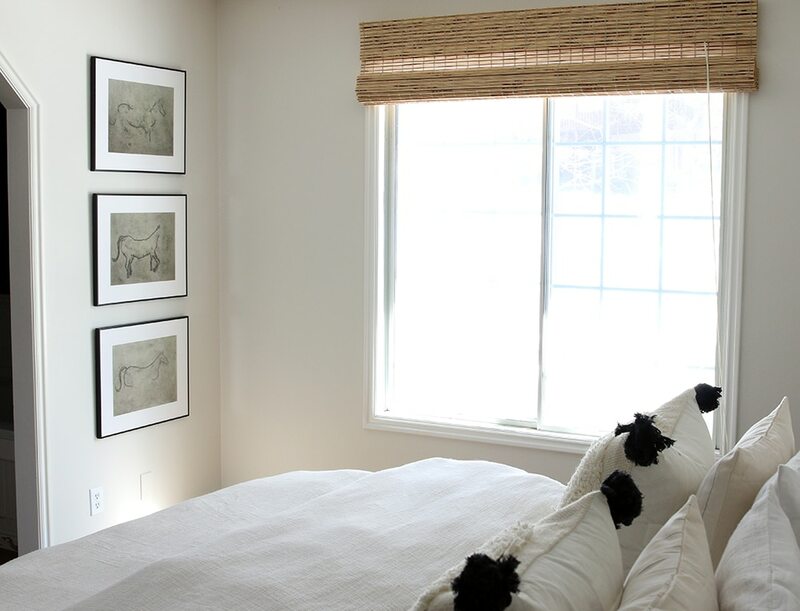 Our last bedroom was pretty amped up in the art department, with a whole sprawling gallery wall over our bed. 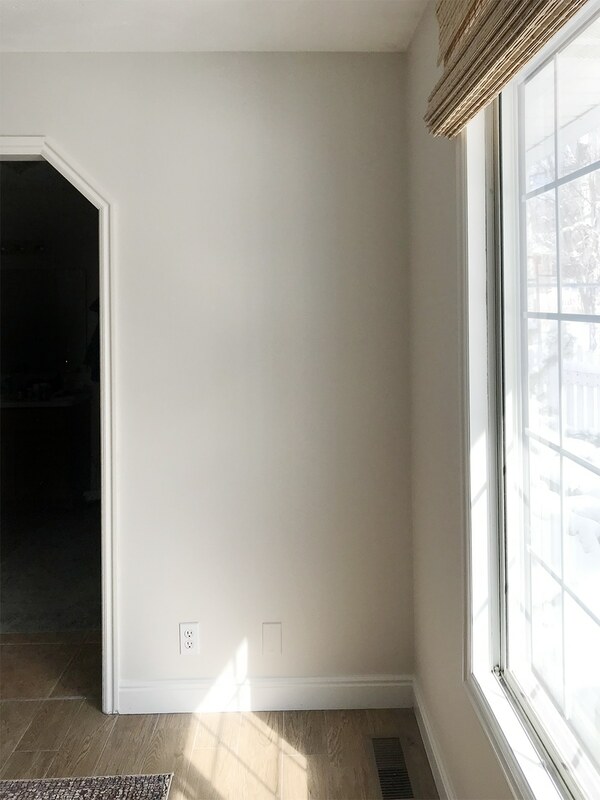 As soon as we cleared the room, and painted the walls much lighter (Benjamin Moore’s Olympic Mountain, read more about that here), we’ve been enjoying the much calmer, cleaner vibe. I’m not even sure we’ll put something above the bed. I’m enjoying the blank space (baby) until I find something that feels better than nothing. Because right now, nothing feels really great. However, that doesn’t mean I didn’t want any art. There’s a slim wall across from our bed, next to the window wall that used to collect things. Chairs. Chairs and plants. A leaning mirror. A wall mirror with a bench under it. Baskets. Just things. Sometimes they looked good, but ultimately they made me feel claustrophobic in my room. To avoid that this time around, I chose three art pieces to hang on the wall in a stacked fashion that were chosen for that specific space. 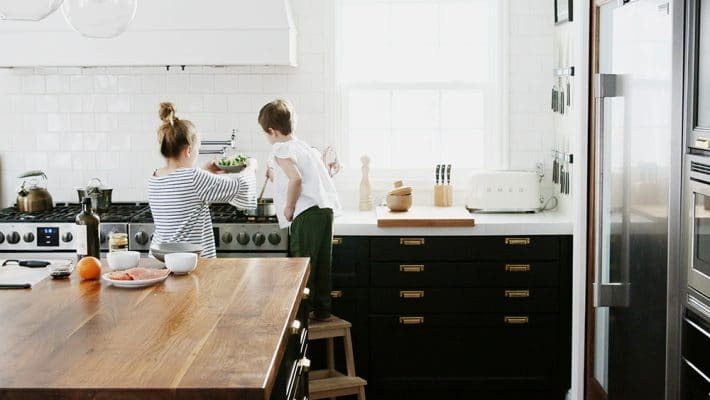 Have you noticed when you buy something for a specific space (based on size, color, function, etc.) there’s a lot less tweaking down the road?! Art hung in a column is really hot right now. It doesn’t have to be from the same collection or even have the same frame, but in our case that’s what I did. 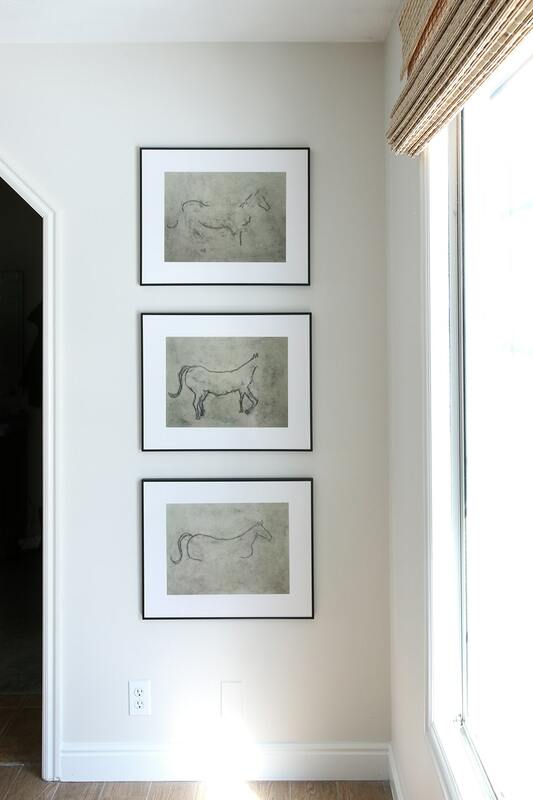 I found these three Horse prints by Yaniv Alon (Horse 1, Horse 2, Horse 3) on Artfully Walls that felt really primitive, like cave drawings. I had them framed in a thin, black wood frame with a crisp white mat that really juxtaposes the art. 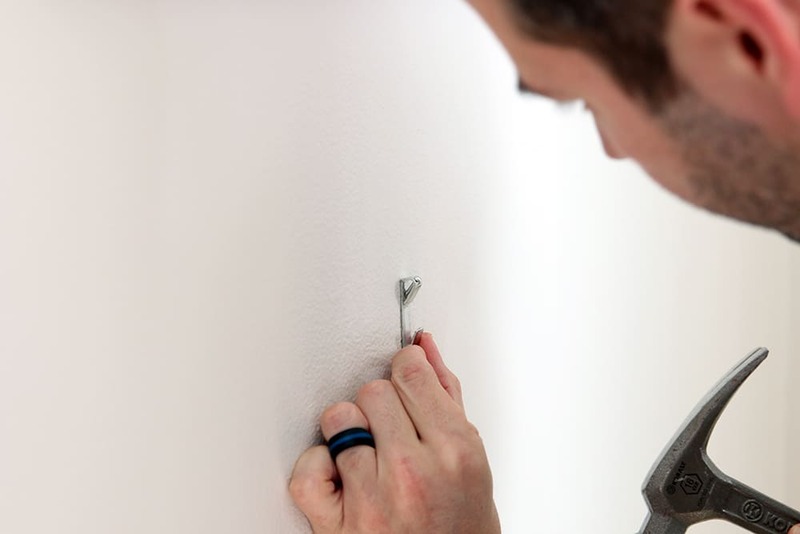 I think it could work without the mat, too, but the size with the mat was just right for this wall. 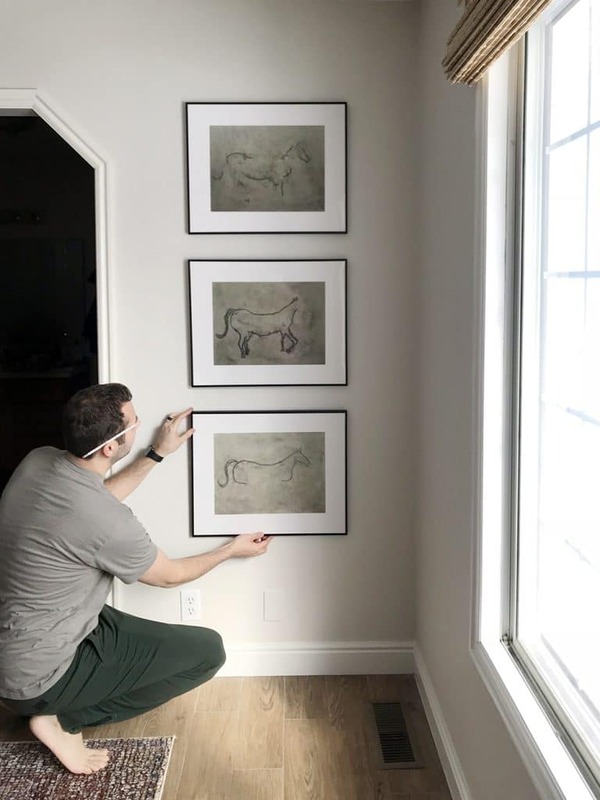 Artfully Walls has a Try It on Your Wall feature that really helps you visualize how something will look in your space, which is so helpful when buying something online. The art came with hanging nails (yes!!) and nice felt pads on the back of the frames. 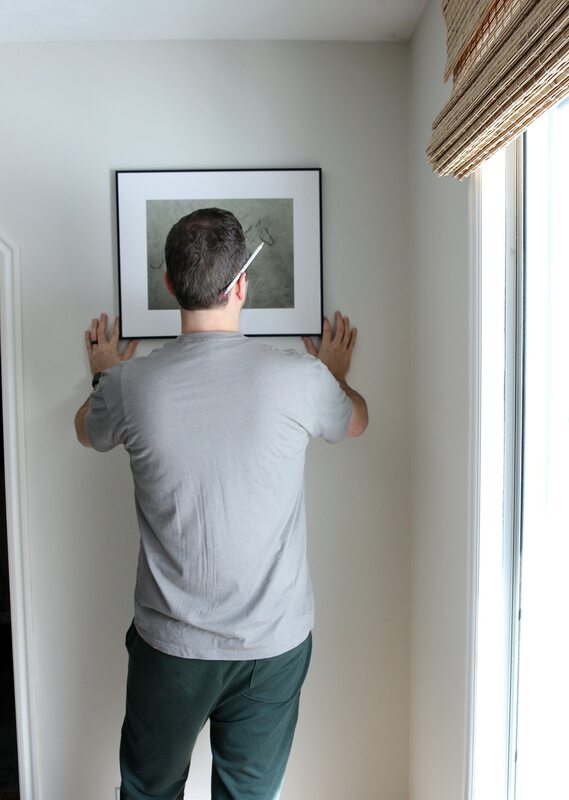 We spaced the frames on the wall so that they be about equal distance from the ceiling and the floor. To say, I LOVE them would be an understatement. They add so much character in such a small place. 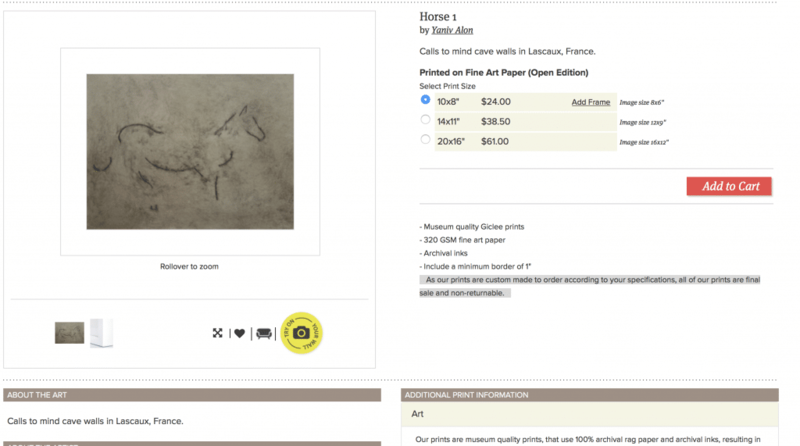 If you’re looking for art, I can’t recommend Artfully Walls enough. 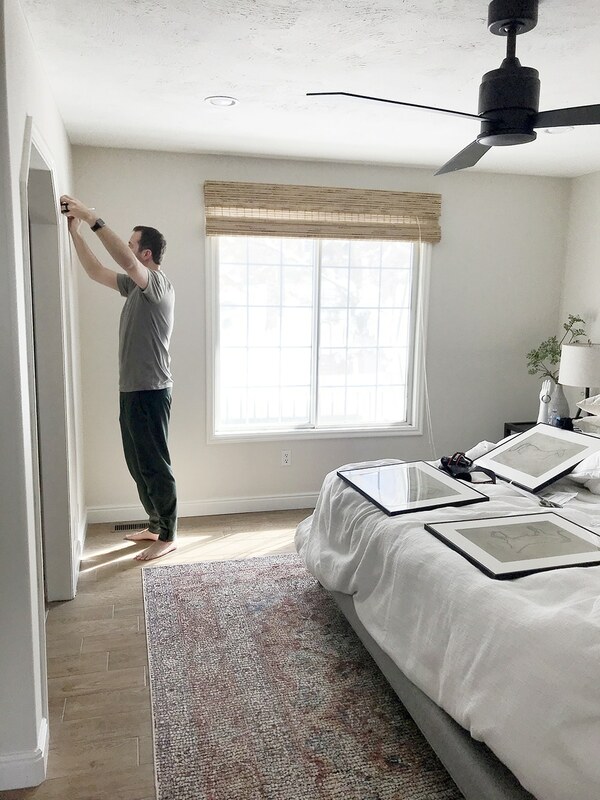 We got the majority of the pieces for the gallery wall in our last bedroom there and have moved the pieces to other places in our house since–like our office. 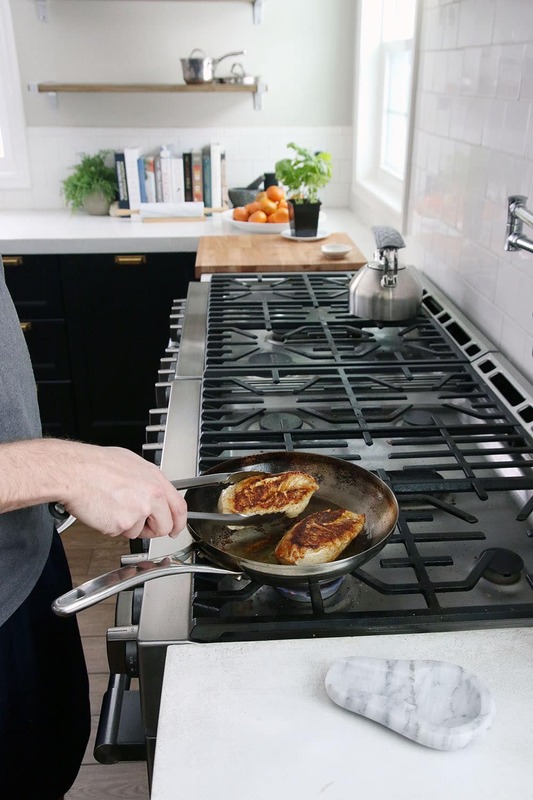 They have such a tightly curated collection–you just can’t go wrong. Oh, gotcha. I got the largest size. It says 20×16, actual image size 16×12. I’m not exaggerating when I say that I love everything you do! Wish you could come decorate my house for me. 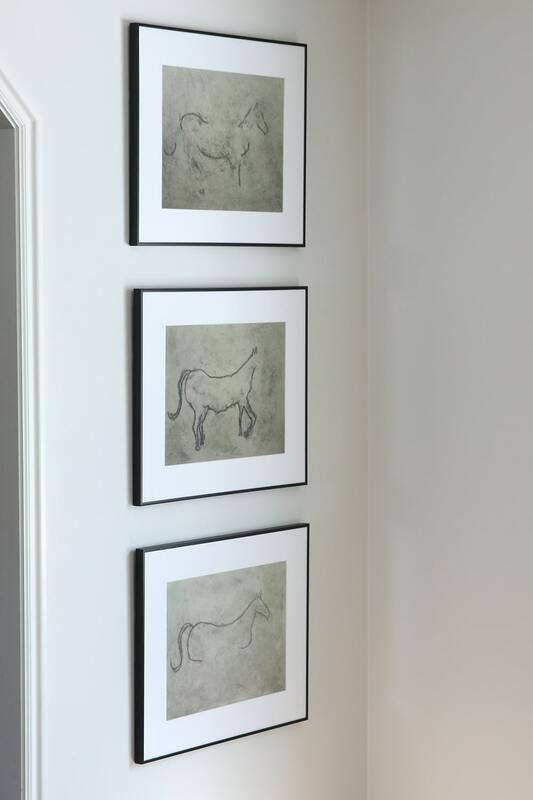 These prints look so good in this spot and hung in this configuration, and the frames you chose perfectly compliment the art. Also love the wall color and the rug, and how they work with the floor tile color! It’s all just soooo good! Hi! The room looks great! I love the new paint color. I wanted to ask about your blinds; I have been hesitating to purchase new blinds because we do not have the option to mount on the inside. I just noticed that your are mounted on the outside. Do you like that look? 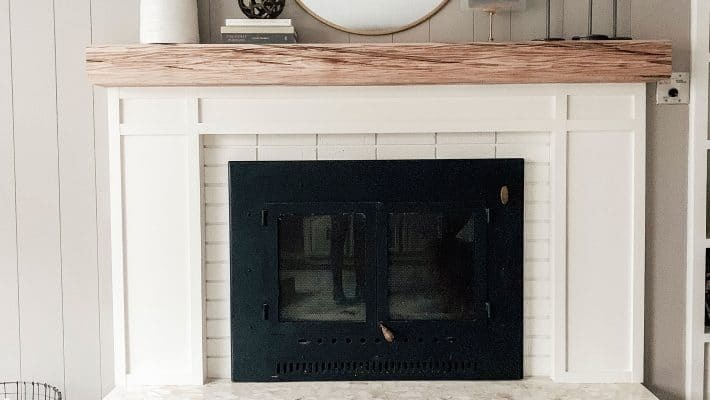 Does it take away from the overall look of the trim? I don’t know what to do, but we need some privacy. I actually prefer them mounted on the inside IF your windows have nice trim (like ours do now). We plan on getting new blinds and mounting them on the inside with drapes mounted much higher. I agree. I prefer an inside mount as well. But are windows have this weird metal piece inside and there doesn’t seem to be enough room for the inside mount. I need to do some more investigation. But, at least the outside mount looks nice in your room so I am a little less hesitant. P.S. Your daughter’s haircut looks cute! Thank you. It was definitely a shock (and I was definitely upset behind the scenes) but it turned out so cute. She’s a little doll. Looks great! Something makes me want to flip the top and bottom one though, not sure why. I was stuck in which order to hang them and eventually settled on the order in which they were numbered by the artist–1 at the top – 3 at the bottom. Really digging the vibe of these prints and the way you hung them in a column. Looks great! 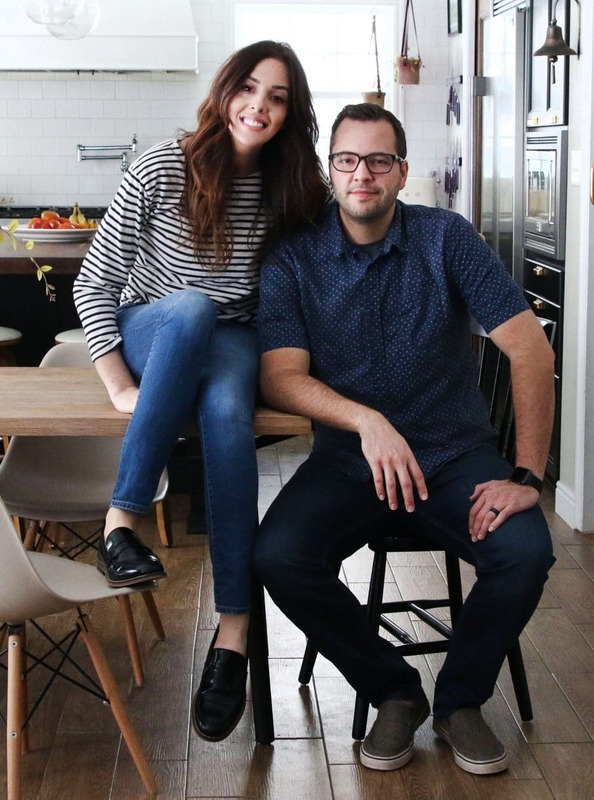 I like how you give us extra tips such as hanging with equal distance to ceiling & floor, or the button to try it on our walls first. I study rooms that I love & try to use their methods in our house but never quite get there… so those extra little comments of how/why you do things are very helpful. Thank you! It looks wonderful (like all your projects). Love the thin blue line in Chris’ wedding band. Love the new art. So peaceful. 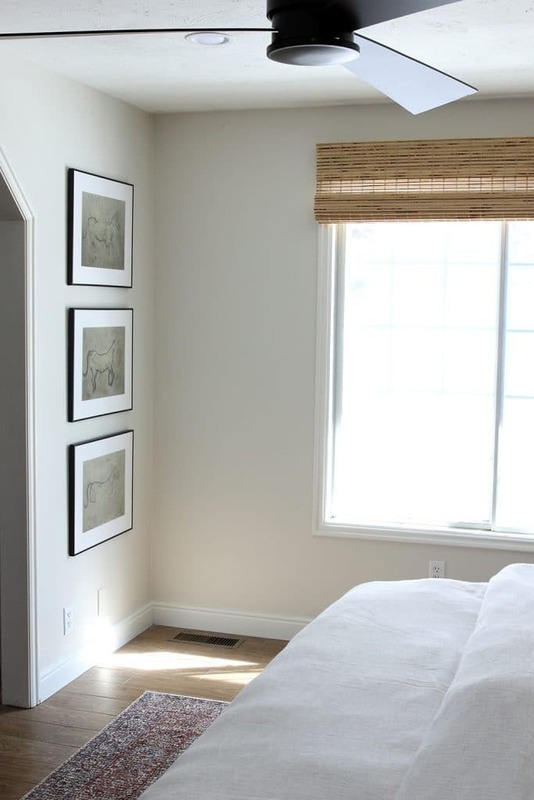 Did you have Artfully Walls do the framing too? Yes! It’s such good quality, too. This is their thin wood frame. It looks so clean and calm. I love it!